Cyberpunk City Map is an enormous city for your punks to play around in. It contains 9 5600x5600 squares that connect to create the entire map. In addition, the set comes with tons of vehicles, signs, and buildings to create your own massive city scapes! Not sci-fi enough? Check out /product/226258/Space-Metropolis-City-of-the-Future for a more intergalactic style metropolis! Total 144 Items in this set. I would love to purchase some of your products but all the ones that look interesting have no working thumbnails and no preview other than the cover image. Sorry about that, I just noticed a lot of comments, reviews, and suggestions to better display previews of my content. 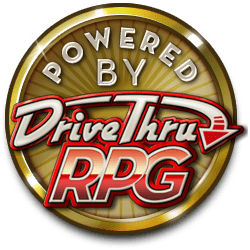 I will spend some time this week revising all my content listings available on DrivethruRPG. Thanks for the input!